Ballpoint pen on (sketchbook) paper , 8.25" x 10.5", 30 minutes, 3.5 -4 beers. 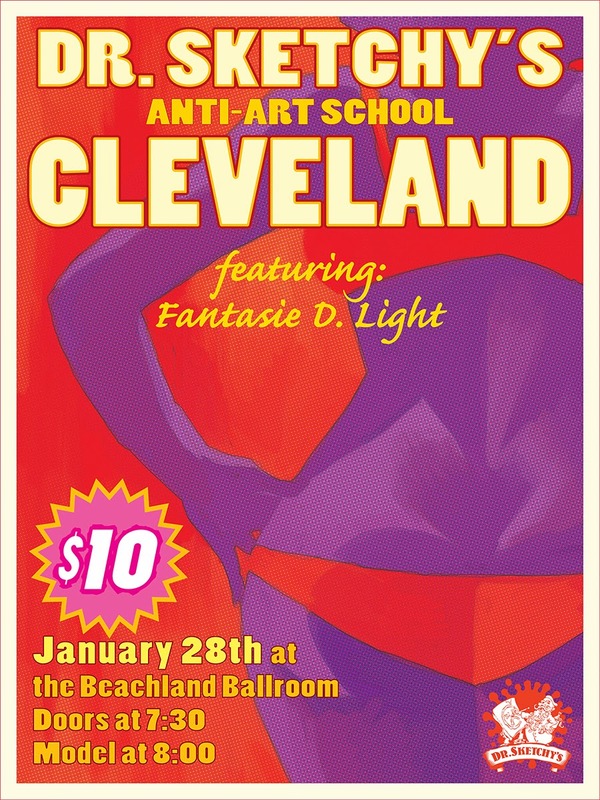 A postcard advertising Dr Sketchy Cleveland! My 1st poster for my 1st Dr. Sketchy Cleveland!